Ready to ditch your slow host? We offer high speed cloud hosting for websites of all sizes. Our goal is to provide an affordable, reliable, secure, and scalable hosting environment that allows you to take your business to the next level. We are the industry leader in reseller hosting allowing our resellers the ability to offer 100% white labeled hosting with all the tools you need to be successful. Our VPS hosting packages have been built for developers to be able to take full control of their hosting environment with the flexibility of our cloud. We offer free and automatic SSL, LiteSpeed web server, MariaDB, with solid state drives protected by Raid 10. NameHero has also been rated and industry leader in customer service providing 10/10 support 24 hours a day, 7 days a week, 365 days a year! New Spring Sale Live - Save Up To 40% Off! Switched to NameHero and within a month of communicating with their support team my company's WordPress website is faster than ever! I am seriously impressed by NameHero. I have used quite a few hosting services and haven't been this happy. Slow web hosting on old school dedicated servers plagued with downtime. Lackluster customer support that takes hours to respond. Fake customer reviews persuading you to buy. Weak hosting packages that lacked much needed features. Corporate giants owning every company that only care about revenue. LiteSpeed web server that's up to 10 times faster than Apache (i.e. what "the other guys" use). Cloudflare integrated with access to their Railgun to make your website load at the speed of light. Features and tools you need to be successful online without upselling you. 24x7x365 Support via phone, live chat, and 15-minute response ticket desk. Our Shared Website Hosting is perfect for individuals and small businesses looking to host a personal website on our high-speed cloud. Powered by Solid State Drives protected by Raid 10 all of our shared hosting packages include the LiteSpeed web server, Free and Automatic SSL, and dedicated resources to run all of your favorite applications. We have auto installers that make installing content management systems such as WordPress, Drupal, and Joomla a breeze (it takes less than five minutes). 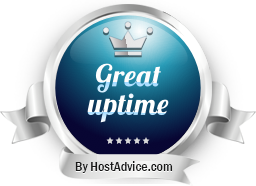 You can sleep sound knowing all of your data is automatically backed up each night and you have the ability to restore these from right inside of your cPanel. Our Reseller Hosting gives you the ability to start your own web hosting business with our high speed cloud. Provide your customers 100% white labeled hosting with all the tools that you need to be successful. Our Corporate Hero package includes a complimentary WHMCS Starter license as well as Cloudflare Railgun to ensure your client's websites loading lightening fast. We have hundreds of hours of video training to help walk you through setting up your business with us regardless the amount of technical knowledge you have. Utilizing Web Host Manager you can easily deploy, suspend, and terminate accounts without ever having to contact us. Our VPS Hosting has been developed for those in need of a lot of resources. Built on top of our private cloud, you can instantly scale, right inside of our interface, to gain access to more disk space, RAM, and CPU computing power. You have full root access to your server. Regardless if you're reselling web hosting or powering a blog that gets millions of visitors a month, you have full control of everything right up to the operating system. All of our Virtual Private Servers include a complimentary Web Host Manager and cPanel license as well as the Softaculous auto installer so you can install and update your applications such as WordPress and WHMCS within minutes. One physical machine completely dedicated to your websites/business. Often used for websites with high traffic or server intest applications. One physical machine virtualized into server "sub" machines. Each virtual server is used to have guaranteed resources. Multiple websites/businesses share on physical machine. Hundreds if not thousands of websites/businesses all share on physical machine. This is why Shared Hosting is often so cheap as the company is assuming the customer won't use a lot of resources. Cloud computing allows multiple physical machines to act as one system. Therefore with Cloud Web Hosting, visitors aren't accessing just one machine. They're accessing several instantaneously. More resources such as disk space, RAM, and computing power, can be added on the fly. Backups can be spun up instantly and websites can migrate seamlessly.